The top floor of the great hall and the staircase to the castle keep are currently under renovation and, therefore, the upper castle will be closed until Spring 2019. The ground floor of the great hall will remain open to the public. Thank you for your understanding! Special tours as per schedule. 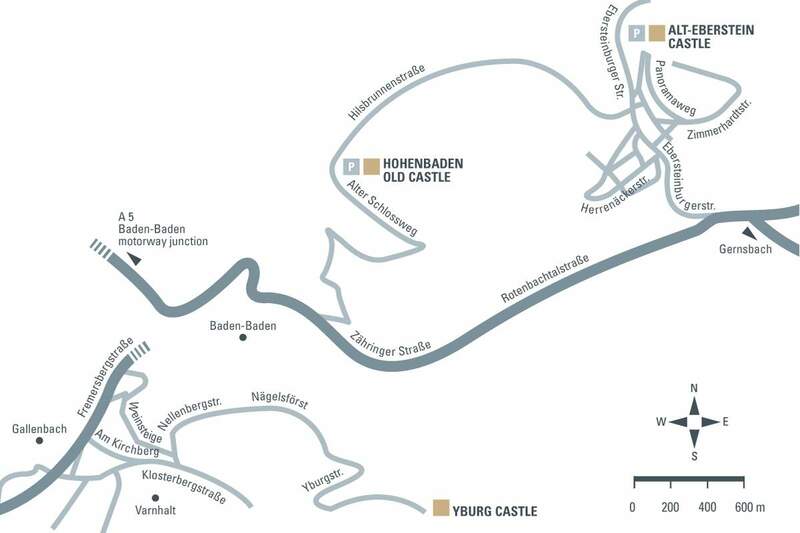 direction of Ebersteinburg – follow the signs from Baden-Baden. Parking is available below the ruins.